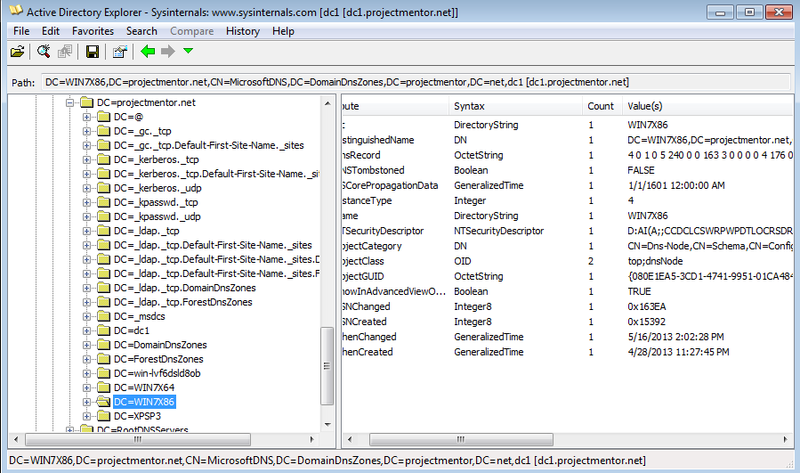 The script hard-codes "CN=MicrosoftDNS,CN=System", but this will actually vary based on the replication scope defined for the zone. 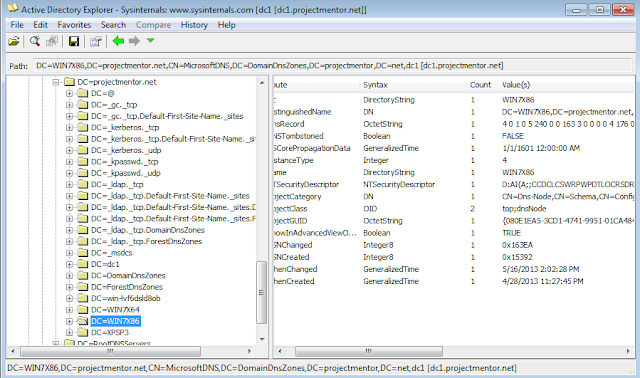 The AD Explorer screenshot above shows one of the alternate locations: "CN=MicrosoftDNS,DC=DomainDNSZones", which is also the configuration used on my current client engagement as well as my lab (I believe I used default configuration options). The latter option is apparently used for Win2k compatibility, so this may be in place for domains that have been upgraded over the years. Just FYI in case you or anyone else runs into this snag. As always, thanks for taking the time to share these techniques.